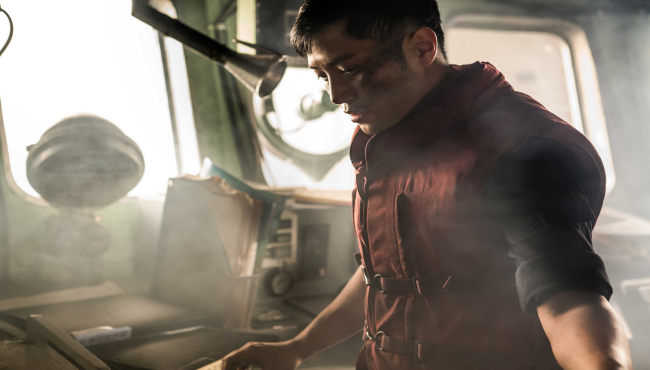 Viewers curious to see KIM Hak-soon’s Northern Limit Line will have to wait an additional fortnight before booking their tickets as the film’s distributor Next World Entertainment (NEW) has delayed the film’s release following rising concerns over the current MERS outbreak in Korea. The film, which was due to open June 10th, is now scheduled to open on the 24th. In a released statement, NEW asked for the public’s understanding in light of “the recent public situation and national sentiment.” The distributor is far from the only organization to respond to the growing crisis, with some reported 900 schools having shut to date, fearing the possibility of contagion. Within the film industry, the Busan Film Commission has indefinitely postponed its Asian Film Policy Forum, which was due to start on the 19th, and Showbox have cancelled press events this week for their highly anticipated CHOI Dong-hoon action-thriller Assassination. Northern Limit Line takes place during the 2002 World Cup, which saw co-hosts South Korea reach the semifinals, when a violent altercation arose between North and South Korean vessels. The film features Secretly Greatly’s (2012) LEE Hyun-woo, Eungyo’s (2012) GIM Mu-yeol and JIN Goo of Mother (2009). So far, the disease, known as Middle Eastern Respiratory Syndrome, has claimed seven lives in South Korea, while some 85 have been diagnosed as infected and a further 2,500 people are currently under quarantine.